Bring spring inside, all year long! 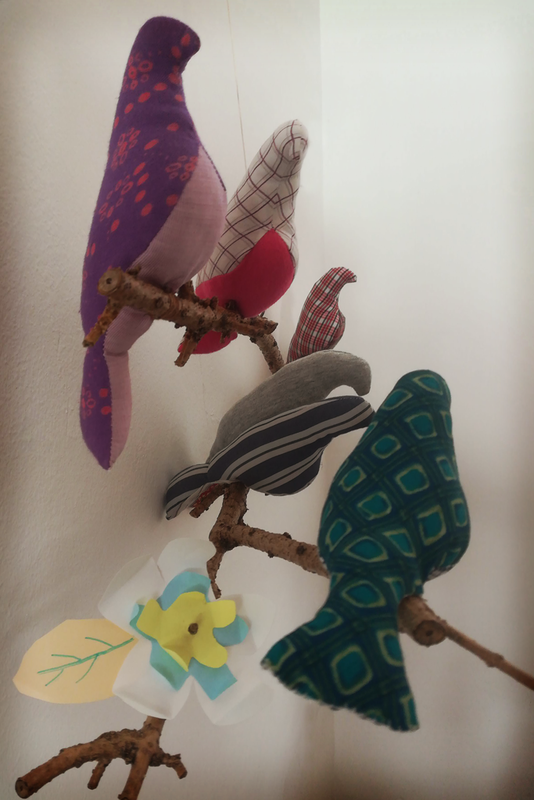 We wanted to try out these birds a long time ago, because we really love their shape, and finally the opportunity came up with this mobile for our friends and their fantastic newborn twin daughters. The pattern has been on the internet for a long time and you can find hundreds of versions of it (to find out about the story about this pattern read here). 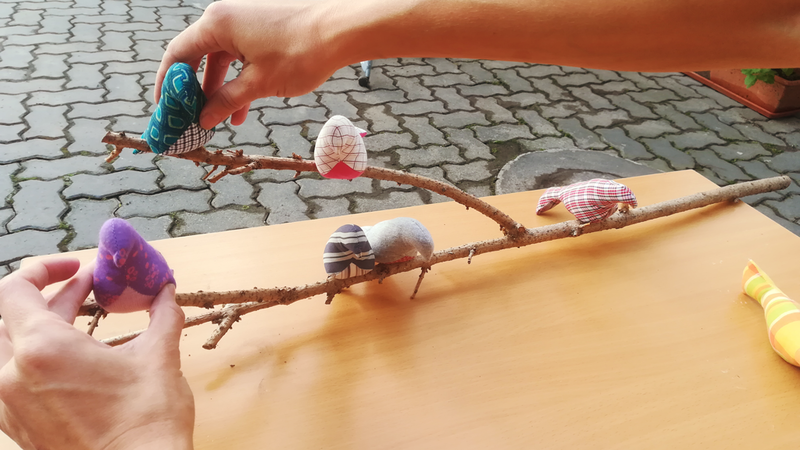 It was very easy to sew them together, a bit more tricky to fix them on the branch, since we decided not to use any glue or silicone but sew them on with brown tread. For durability, we used a dry branch which we varnished, so no pieces should come off in the babies’ room. 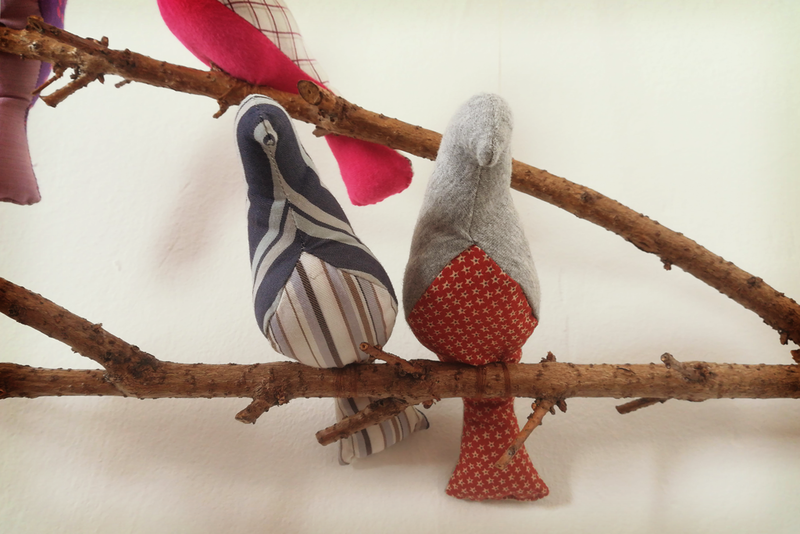 We like the simplified form of the bird pattern a lot, and think it is on its best without extra details, leaving the attention to the colourful retro patterns and what appears to be the personality of the animals, which they seemingly acquire after stuffing and positioning them. 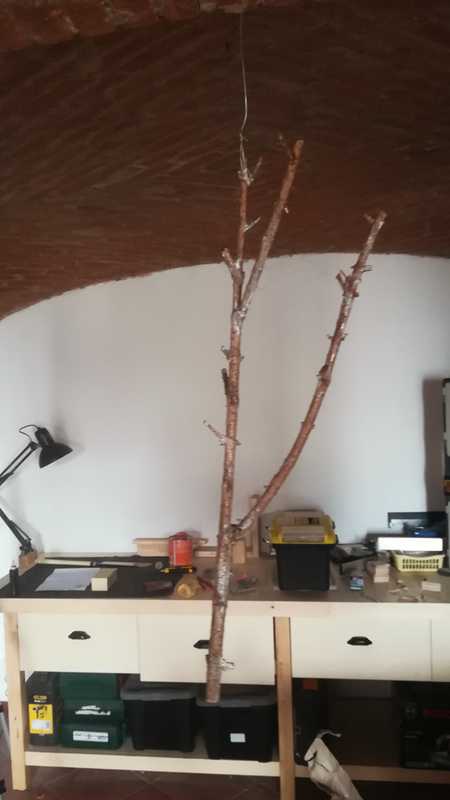 While we were busy attaching the birds to the branch, our 8-year-old daughter disappeared for some time, being very mysterious about it, and then came up with a lovely paper flower to punch on the branch. O yes, did I mention before? Creativity is highly contagious!